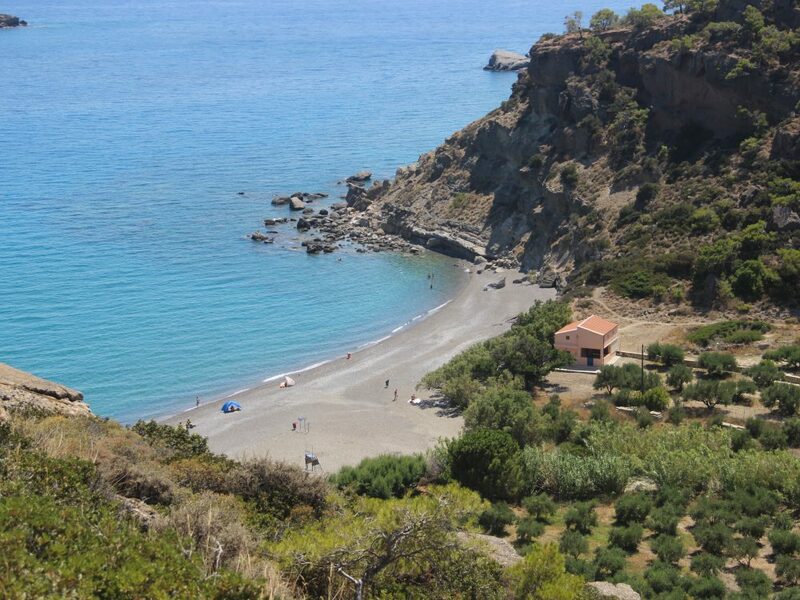 Agia Fotia beach is one of the most famous beaches of Lassithi area in Crete. And for a good reason. 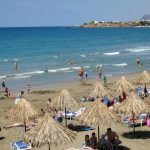 It is a sandy beach, with impressive rocks that reach the sea, and you can view the beautiful Cretan mountains in the background while swimming. 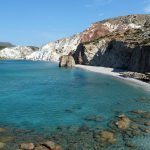 Where is Agia Fotia beach? It is in the South East party if Crete island in Greece. 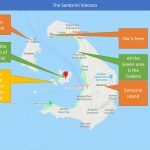 It is 8 km away from Platigialos village and 15 km away from Ierapetra town. 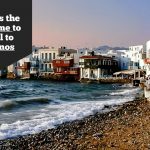 When is the best time to visit Agia Fotia? June to September are the best months for swimming in Crete. Regarding the time, if it is August, you should be there before ten o clock I the morning to make sure you will easily find a parking spot down on the beach and some success with shadow. 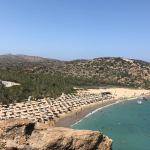 Is Agia Fotia beach kid friendly? Not so much. The reason is that the water is deep and if there is wind there are strong waves which makes it dangerous for kids. Is there a lifeguard on the beach? No, there is no lifeguard at Agia Fotia beach, unfortunately. There are a tavern and a beach bar right on the beach. You can eat, drink beers, or coffee. There are even tables on the sand of the beach under the shadow of trees and umbrellas. The tavern has toilets which you can use. There is also a shower with fresh water on the beach. Parking is not easy at Agia Fotia beach. There is a small parking area with only 10 places to park and some of them are reserved from the tavern. If you go early, before ten o clock in the morning it will be easy to find a place to park. The parking is free. If you don’t find a parking place on the beach you will have to park your car on the hill road which is steep. 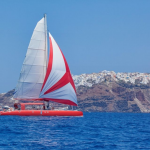 Is it easy to reach Agia Fotia beach? Once you are on the main road on the hill, you will see a sign to Agia Fotia beach, guiding you through a small 2 km road down the hill. This is not a good road and as it has many cars parked on it you may come face to face with a car going up the hill while you are going down. Are there water sports on the beach? No, there are no water sports available at Agia Fotia beach. How much do sunbeds and umbrellas cost? A set of two sunbeds and an umbrella cost 6 euros.